President Obama cleaned both their clocks to win the White House, but John McCain and Mitt Romney might turn out to be winners in life. A new study published in The BMJ, a leading medical journal, found that the stress of being a head of state can shave up to three years off a life span. And that could explain why America's once-youthful 54-year-old president has more salt than pepper in his hair these days. Researchers Anupam Jena and Andrew Olenski at Harvard Medical School and Matthew Abola of Case Western Reserve University reached their conclusion after comparing the life spans of U.S. presidents with the candidates they defeated — going back to when George Washington was in the White House. To make sure this wasn't just an American phenomenon, they also compared the "survival data" from 1772 to 2015 on the elected heads of state and the runner-ups in 15 other democracies, ranging from Canada and Australia to the United Kingdom, Norway and Poland. In total, they looked at 279 winners and 261 runners-up who never got a chance to rule the roost. Their conclusion? The heads of state live 2.7 years less than the people they beat. "We found that heads of government had substantially accelerated mortality compared with runner-up candidates," the researchers wrote. 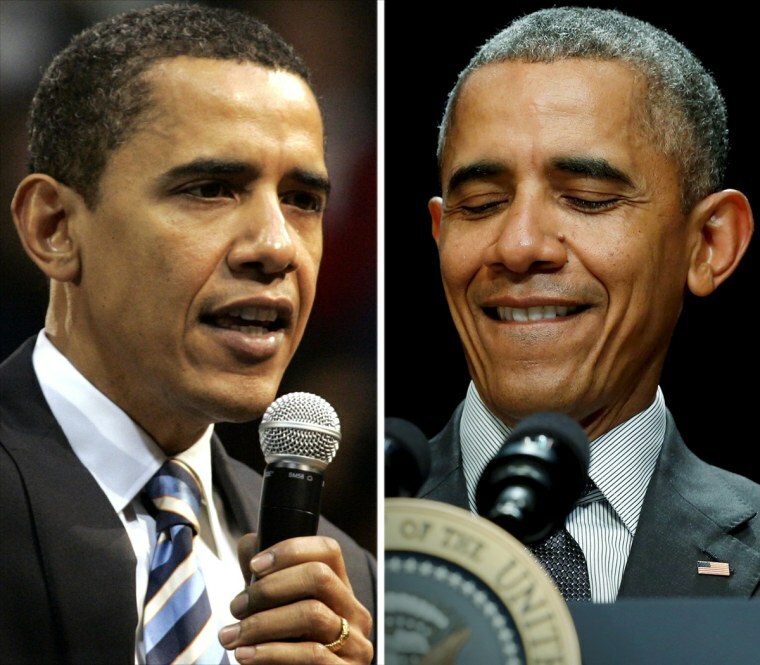 "Our findings suggest that elected leaders may indeed age more quickly." McCain, R-Ariz., a survivor of a brutal Vietnamese prison, is still going strong at 79. So is former Massachusetts governor Romney, who is 68. Obama bested the former in 2008 and the latter in 2012.